Fishing should prove to be really good the first part of the month. The tides will be high, the water movement swift, creating a lot of oxygen and motivating the fish to eat. I predict that virtually all species will be active, especially after things settle from tropical storm Emily. I am excited to report that fishing (catching) has really turned on this past week and with continued warm weather, there is no reason not to believe SPRING FISHING IS HERE! Fishing has been ‘spotty’ and very tough at times due to a fractional seasonal change. SW Florida water temperatures have been around 68 degrees (F) for most of the winter and affected migratory patterns. 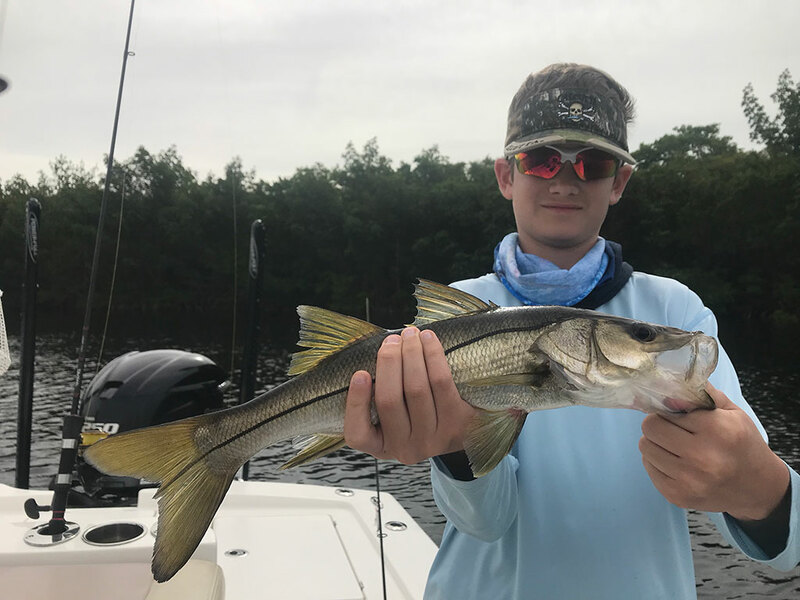 Since my last report, fishing has been difficult due to low water levels, strong winds from the west, and little change in seasonal temperatures. Weather related, this has been an extremely mild winter, especially when compared to last January and February. None-the-less, time on the water boating and fishing has been exceptionally nice due to warm weather, warm water temperatures and moderate ‘cool’ fronts. 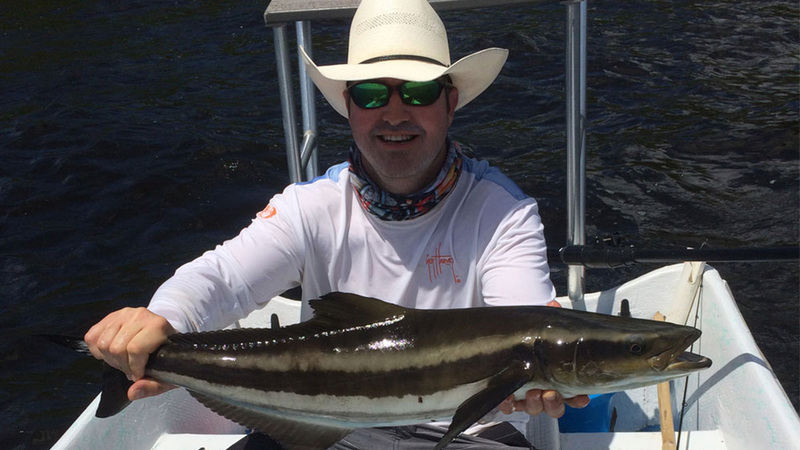 The beginning half of February has proven to be quite successful for Fishin’ Frank and his clients! This past weekend there have been multiple reports of Pompano along the coast and are best caught with sand fleas, pieces of peeled Shrimp under a popping cork or tiny trap and jigs. Fishin’ Frank recommends the jigs like a small buck-tail or a Crazy/Banana Jig Placing a small piece of Shrimp meat on the point of the hook will better your odds. If you are using the Crazy/silly jigs then Fishin’ Frank recommends the ones with the teaser attached although he has been selling more of the plain ones. Pink and white or Chartreuse and white are the best-selling colors. He has also found that the Pompano are within casting distance from the beach all along the coast line. The back half of January proved to be less productive than most of us like. However, Snook, Seatrout, Jack Crevalle and Mangrove Snapper were very active inshore. Recently, the larger Sheepshead have begun to show up on around docks and mangroves. Pictured here is Rex Burlison of St. Louis, Missouri holding a nice Sheepshead he caught in a St. James City canal. 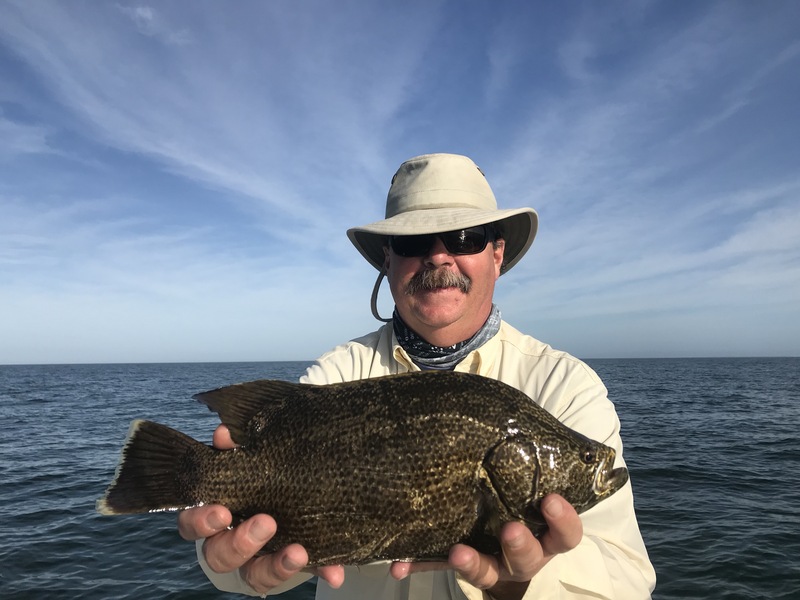 Not to be outdone, brother Ron Burlison of St. Peters, Missouri landed a few Mangrove Snappers, small Snook as well as the Sheepshead he is holding. 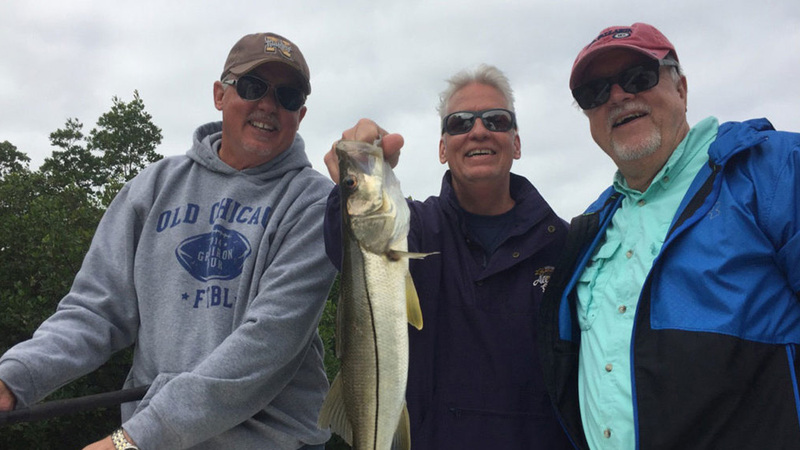 Rex, Ron and a friend are pictured together here holding one of the bigger Snook Rex landed that day. Nice job guys! 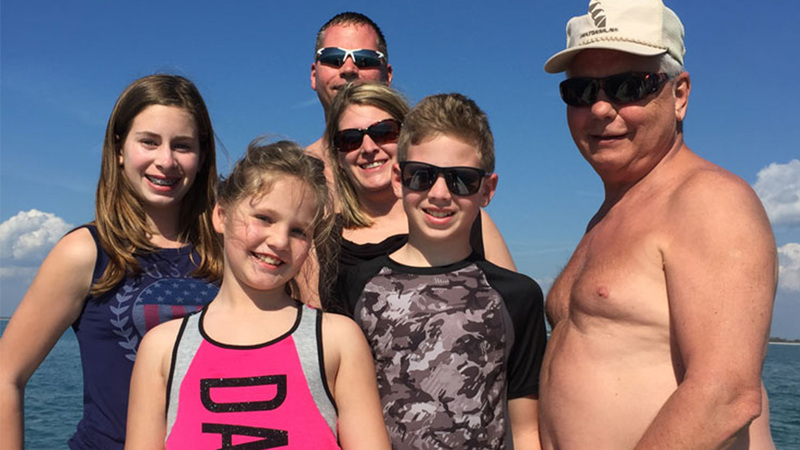 Christmas and the New Year Holiday brought good weather and lots of opportunities to accommodate a number of charter requests from locals and visitors alike. 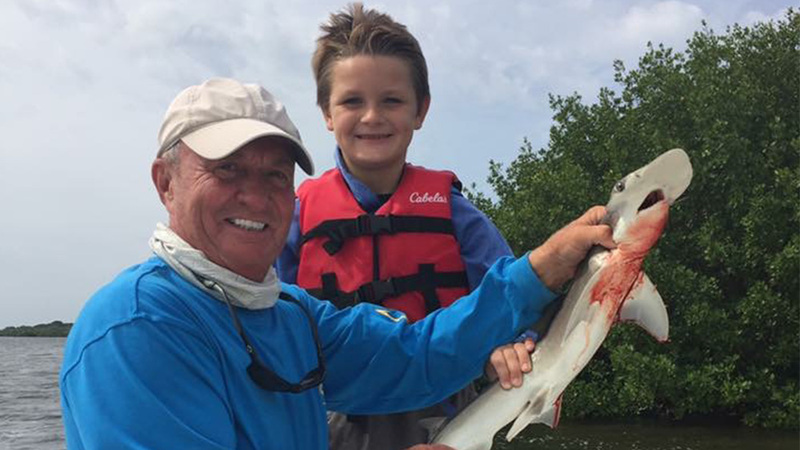 Fishing was ‘spotty’ during the Christmas break but still produced a number of great trips with sufficient catches of Grouper, Seatrout, Mangrove Snapper and Spanish Mackerel to satisfy most. This is the time of the year when many come from the frigid areas of the north to enjoy the holidays of Christmas and the New Year. 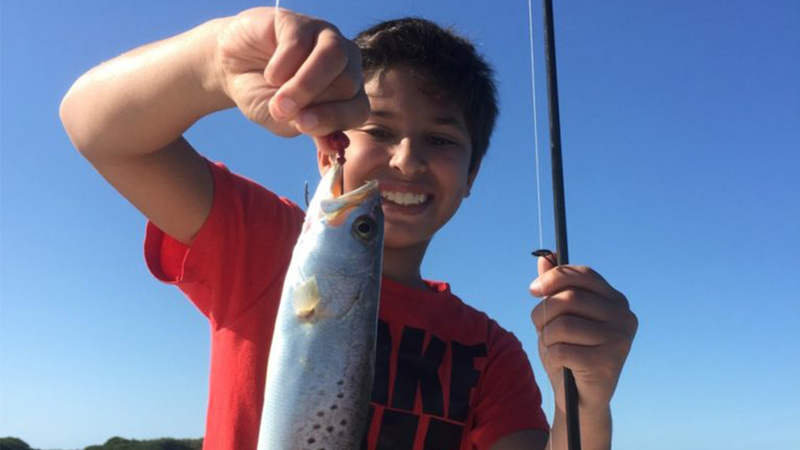 The last few charters have delivered some nice catches for my young anglers. The catches were from the southern end of Pine Island Sound all the way north to Charlotte Harbor. Due to the lower winter tides, most of the game fish were caught south of the power lines in open water, around mangrove islands with oyster clusters and dead wood. 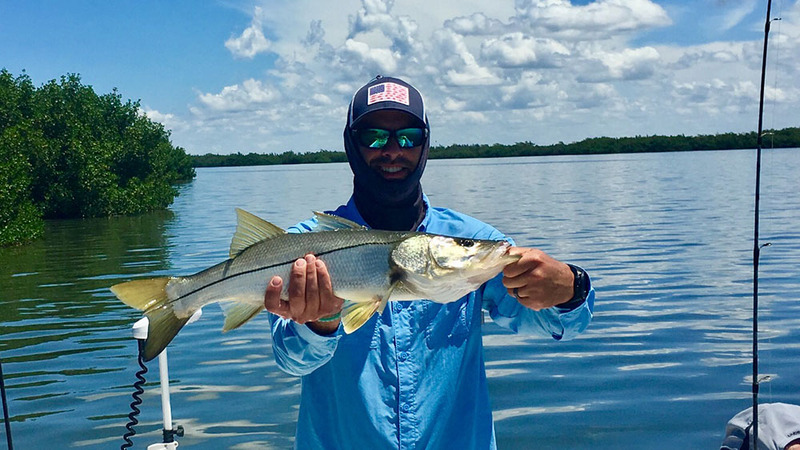 The water is clearing up around the mouth of the Caloosahatchee since the Corps of Engineers have quit sending fresh water to us from Lake O. Seatrout, Redfish, Snook, Mangrove Snapper, Spanish Mackerel and small shark made up most of the ‘bounty’.